This time of year, everyone comes out with a 'Best of the Year' list, for everything from movies to songs, cars, and even airlines. 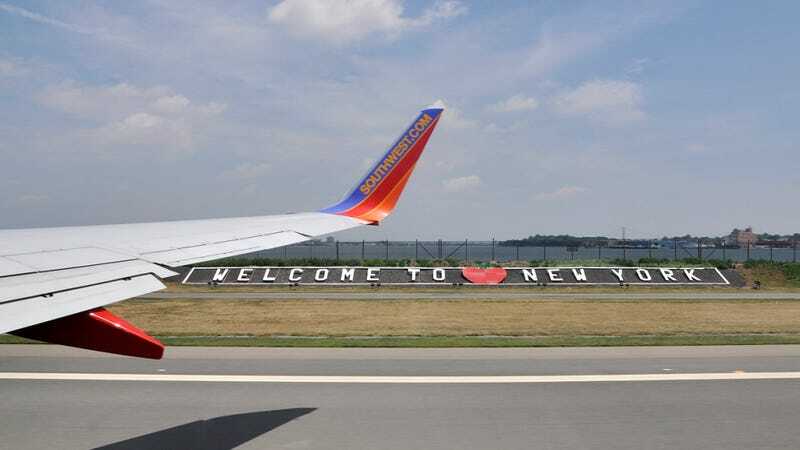 But it's also fun and important to evaluate the worst of things like airports, and two in the New York-area are among the most frustrating for travelers. Bloomberg has given a "Frustration Index" to the 25 busiest airports in the U.S., as well as 6 of the 7 busiest in Canada, and assigned a score of 91 out of 100 to New York's LaGuardia Airport. In this case, a high score is a bad thing, and this score probably isn't news to anyone who uses LaGuardia on a regular basis. Back in 2011, Donald Trump called LaGuardia a "Third World Airport." At the time, he was comparing the U.S. airport infrastructure to China, saying how China was making improvements, while the U.S. lagged. Trump even had his own airline based at LaGuardia for three years, running hourly flights from LaGuardia to Boston and Washington D.C. These days, Trump keeps his private Boeing 757 at LaGuardia. Vice President Joe Biden also used the term to describe LaGuardia earlier this year. It's 50 year-old terminal is cramped — not only for passengers, but for planes. The 35 gates are too close together to allow for the length and wingspan of today's modern long-haul jets. However, there is a light at the end of the subway tunnel, in the form of a brand new Central Terminal for the airport, which is slated to be operational in 2021. The new terminal will be roomier, while offering more places for passengers to relax while waiting for their flight. The city is currently in the process of choosing between three development teams to take on the project. The other most frustrating airports are Newark Liberty, Washington Dulles, Chicago O'Hare, and JFK International. The criteria used to judge the airports included things like how often flights are delayed or canceled, availability and quality of dining options, as well as shopping and other recreational activities. On the opposite end of the list, the least frustrating airports included Vancouver International, Portland International, Austin Bergstrom, Calgary International, and Phoenix Sky Harbor.